Please explain call option and put option and strike rate, etc in detail. I am a CS final student and would like to attempt to solve this problem in Financial,Treasury Forex Management paper. Srinivas! 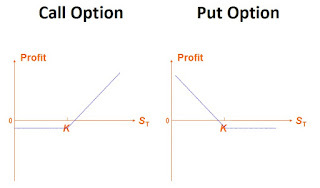 In finance, call option and put option are the two phase of one coin. One part of this is head and other part is tail. Both are important to know. Call option means call of buyer for buying any financial product in the future date at its strike rate. This option gives the power to buyer to buy the product if the value of product will increase. If it will not increase or its value will decrease, he will give only premium. You want to buy the shares of XYZ company what the price is Rs. 100. You contacted Mr. A for buying the shares but with the option that you will pay the amount when its prices will increase. You are ready to pay per share Rs. 115. This Rs. 115 is strike rate. This option will expire after 3 months from this date. Suppose, before expiry of XYZ company's shares' price decreases up to Rs. 50 and you have to pay Rs. 15 as premium to Mr. A. This is your loss but you will get benefit of buying shares at Rs. 50. Suppose, before expiry of XYZ company's shares' price increases up to Rs. 120 and you have to pay Rs. 115 by using call option. You will sell same shares at Rs. 120 and get benefit of Rs. 5. This is your profit. 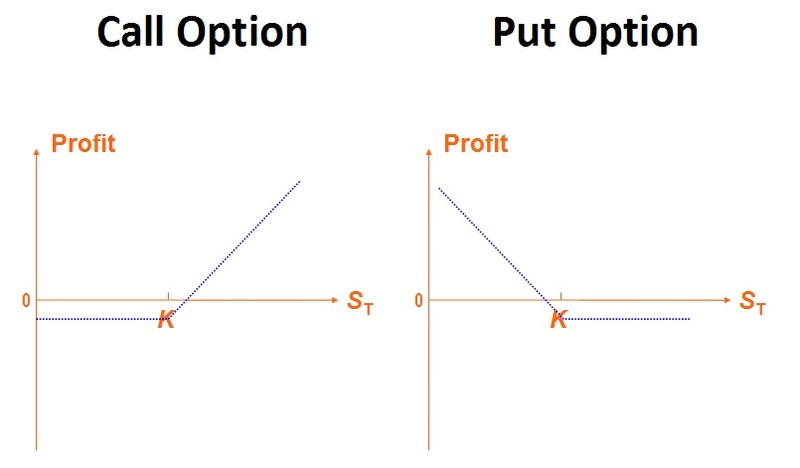 Put option is right of asset owner to sell it on strike price or not. If owner of asset will see the benefit, he can sell his asset on strike price. For example, if Mr. A sees that share price of XYZ company decreases, he will be in power to sell his shares at strike price. In conclusion of this topic, I can say only one thing that both call option and put option are agreement between buyer and seller. Both are helpful for risk covering. One time, one contract can be done. If there is call option, same time is put option is not possible for seller to sell the product to same buyer. No Comment to " Call Option and Put Option "